1. Line Synchronized Firing angle circuit. 3. Output frequency can be 1/3rd or ½ of the input frequency. 4. Availability of test points at strategic locations for observations of respective waveforms on CRO. 5. Variable frequency / Variable output voltage. 6. Over current / dv / dt protection. * Input : 1φ 230V, 50 Hz. * Output : AC 100 to 200V. * Demonstrates the principle and working of Transostorised PWM Converter. 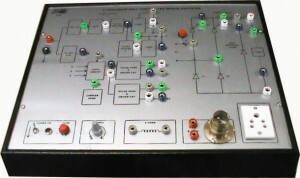 * Triggering circuit synchronized to the mains and with frequency and duty cycle controller. * Power circuit using Power Transistor. * Effect of phase control on Lamp ( R load ) Inductive ( R-L load ). * Four – isolated gate signals for full Bridge converter. * Firing angle variable from 1800 to 00 through Ramp and Pedestal control. * Gated carrier source at 4 KHz. * Housed in a sleek cabinet. 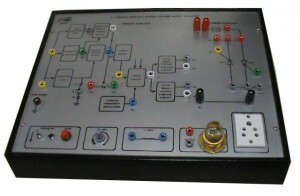 * Test points are provided on the front panel for detailed study of circuit signals by the student. * Necessary test points are terminated at sockets so that the student can monitor / measure / study the signals using CRO, DVM, etc. * One Potentiometer to vary the firing angle. * One ON / OFF switch with indicator provided to power the control circuitry so that the students can monitor all the test points of the control circuitry for correct functioning. 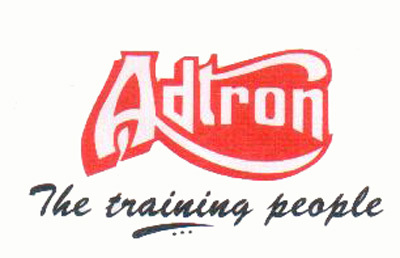 * Input : 230V + 10%, 50Hz single phase AC. * +15V DC @ 0.5A regulated output for the control circuitry. * Four nos of SCR’s rated for 1200 volts VAK and 25 Amps 1A. * One diode for free wheeling. * Each device is provided with. * RC Snubber for dv / dt protection. * Fuses to avoid overload. * All the G, A, K & MT terminals are terminated on connectors to use patch cords. * One fixed Resistive load ( Lamp Load ). * One fixed Inductive load. 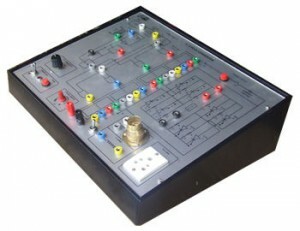 * All points are terminated at the front panel for wiring for each experiment. * Two – isolated gate signals for Full Bridge Converter. * Firing angle variable from 1800 to 00. * Soft start circuit is built – in. 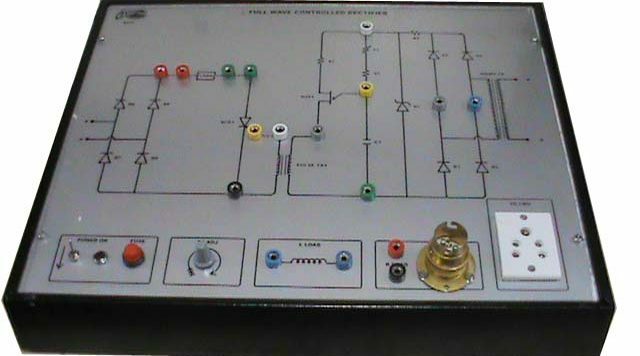 * One ON/OFF switch with indicator provided to power the control circuitry so that the students can monitor all the test points of the control circuitry for correct functioning. * Two nos of SCR’s rated for 1200 volts-VAK & 25 Amps IA. * Two diode for free wheeling. * Demonstrates the principle and working of 1f Full Wave Controlled Rectifier using SCR. 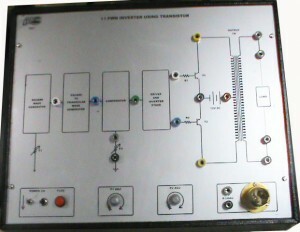 * Triggering circuit using UJT and Pulse transformer. * Effect of phase control can be observed on R ( Lamp ) and R – L ( Motor ) load. * Set of patch cords provided. * Demonstrates the principle and working of 1f Half Wave Half Controlled Rectifier using SCR. * Effect of phase control can be observed on R ( Lamp ) and R – L load.